With the World developing rapidly in terms of culture, technology, innovations, pharmaceuticals and education, Edwise serves all one's desire to Study Abroad. As Edwise, since the day been established, has proved its existence and inherited the saying 'One Stop Solution For Abroad Studies'. With the rise in the competitive institutions, Edwise has marked its presence with flying colours. With saying this, we at Edwise personify and design the process efficiently, irrespective of studies, course and training. Our knowledgeable and professionally skilled team will provide you guidelines throughout your applications process. We provide guidance related to scholarships, course-selections, bank loans, admissions and visa. We host education fairs, wherein, the students can directly participate and interact with the University Delegates and all of that Free of Cost. Since establishment and a successful completion of Silver Jubilee, we have a profound relationship and official representation with over than 500 universities, around the world, hence providing you an ambit to study abroad. 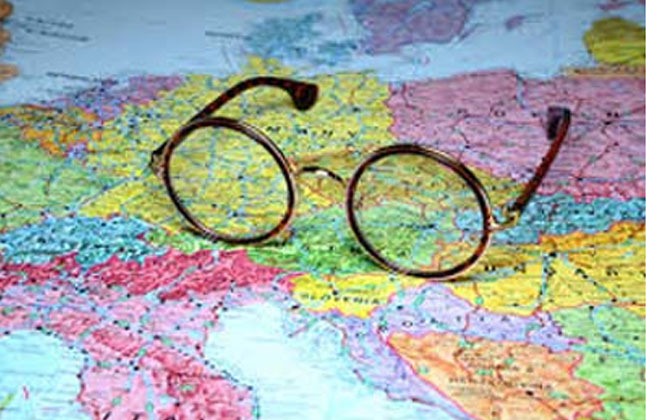 Studying abroad may be one beneficial experience for a student. By studying abroad, students have the opportunity to take in the allure and culture of a new land. Here is a list of the purpose to study abroad! The biggest reason you should consider a study abroad program is the opportunity to see the World. By studying abroad, you will experience a brand-new country with incredible new outlooks, customs and activities including the opportunity to see new terrains, museums and landmarks of your host nation. Another reason considering studying abroad is for the chance to explore and experience educational courses. By enrolling in a study abroad program, you've an opportunity to excel more than what you are exposed to at home. You'll find it completely mesmerising with the education system of your host country is a great way to experience and understand the people, its traditions, and its culture. Education is the centrepiece of any study abroad trip, after all, a study abroad program-and choosing the right school is a very important factor. Students who choose to study abroad are leaving their nest for the first time. When they arrive in the host country, they are fascinated by the distinct cultural perspectives. When you study abroad you will find unbelievable new foods, customs, traditions, and social atmospheres. You will find that you have a better understanding and appreciation for the nation's people and history. You will have the opportunity to witness a completely new way of life. After you finish overseas study and return home, you will return with a new perspective on culture, language skills, a great education, and a willingness to learn more. Needless to say, all of these are very attractive to future employers. Many a times, students find that they love their host country that they decide to seek work there. If you can relate, you will find that a local education will be valuable when searching for a potential job in the host country. If you are still questioning yourself why to study abroad, you should know that studying in a different country offers many new activities and interests that you may never discovered the same, if you'd stayed at home. You might find that you have an as-yet undiscovered talent for hiking, water sports, snow skiing, golf, or various other new sports you may never have tried back home. Studying abroad also opens ones sight for new interest as well. There is nothing quite similar like being you in a foreign country. You might find that studying abroad really brings out your independent nature. Students who study abroad become explorers of their new nation and really discover the curiosity and excitement that they harbour. A benefit to studying abroad is the opportunity to discover you while understanding of different culture. Being in a new place can be overwhelming at times, and it tests one's ability to adapt diverse situations while being able to resolve the stumbling blocks. Like future employers, foreign graduates seek altogether a different level of education and abroad experiences. Students that study abroad display diversity and show that they brave enough to seek out new challenges or put themselves in any hindrances. Importantly, students who have studied abroad exhibit how committed they are to their education. Graduate schools regularly look for candidates who bring a noteworthy aspect to their university. Students, who are foreign graduates, often unveil the oddity and educational acumen to be a leader in graduate school. Why study abroad? For many, this may be the only opportunity to travel abroad for an extended period of time. Eventually you will find a job and career, and the opportunity to study abroad may turn out to be a once in a life time opportunity. Take this opportunity to travel the world with no commitments but to study and learn about new cultures. Studying abroad is an exorbitant episode unlike any other. "I had a very wonderful experience with Edwise and I want to thank them for helping me throughout the process." "Edwise is the best, I was guided well and my counselor made my application and all the other process very easy. I am very thankful to Edwise for helping me in my dream to study abroad."